Snapper fillet is an excellent source of lean protein and tastes amazing! This recipe adds a simple celery and parsley salad with tahini dressing for a healthy meal you can have ready in less than 30 minutes. 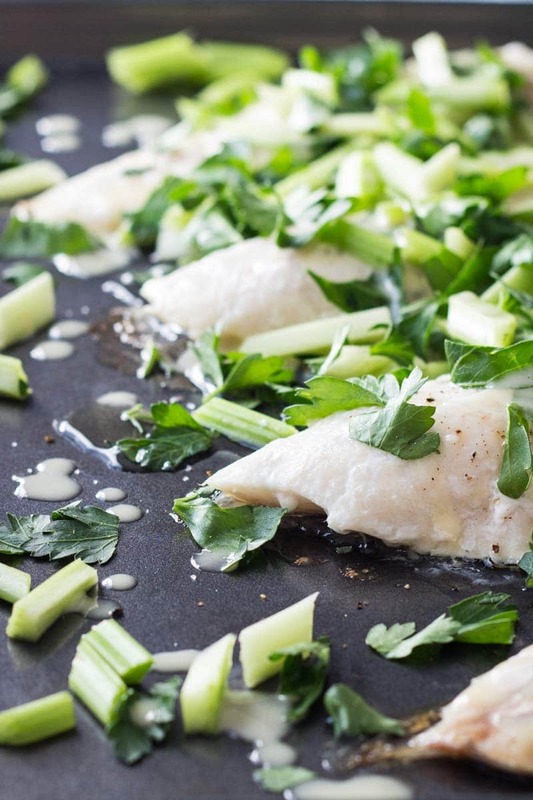 This snapper fillet with celery parsley salad is prepared in the blink of an eye, will fill you up while not making you feel heavy, and will make you feel good about yourself for nurturing your body with a delicious healthy homemade meal. Fish is perfect for quick dinners because, depending on its thickness, any fillet is usually baked through in less than 20 minutes during which you can prepare your side or sides. For more great seafood recipes, check out our roundup of the 10 best healthy low-carb seafood recipes. A salad is always a good idea because it takes minutes to prepare and if you want to add some carbs, cook quinoa in some vegetable broth. It takes only 10-15 minutes. It’ll be ready just in time with the fish. Baking snapper fillet in the oven is about as easy as cooking gets, as long as you buy fully cleaned snapper fillets (which you should be able to get in most grocery stores). You can even buy frozen snapper fillets and de-freeze them before cooking and they will taste (almost) as good as fresh fillets. Step 1: Grease a baking sheet or piece of parchment paper with a few drops of olive oil to prevent the snapper fillets from sticking. Step 2: Place the snapper fillets with the skin side down and sprinkle with salt and pepper. Step 3: Bake at 350F° (175C°) for 15-18 minutes depending on thickness. Test with a knife if the snapper fillets are fully cooked. That’s it! You can, of course, add additional flavor to the fillets by using fresh or dried spices, but I prefer to keep it simple because the snapper tastes great in itself. I would rather have a flavorful salad on the side (like the celery and parsley salad in this recipe). There are many different varieties of snapper (red snapper, rainbow snapper, yellowtail snapper, etc.) but you can cook them all in the same way and they all taste great. Just be aware that some of them (like the red snapper) have been overfished in the wild so please get your snapper from a place that only sells seafood from sustainable sources. I prefer fillets with the skin still on but don’t worry if you can’t get that. Skinless fillets work just as well. Most fish and especially snapper are low in saturated fat, high in good quality proteins, and contain a lot of omega 3 fatty acids. Combining it with a salad high in vitamin C such as the celery parsley salad in this recipe (1 cup of parsley contains 133% of your daily values in Vitamin C) will ensure that your body can absorb the fish’s iron to the maximum. Besides, parsley combined with celery and a fancy tahini lemon dressing tastes, uh-mazing!!! Treat yourself to a snapper fillet with celery parsley salad and thank me later for a recipe that will end up pinned to your fridge with a note “to-be-made weekly”. 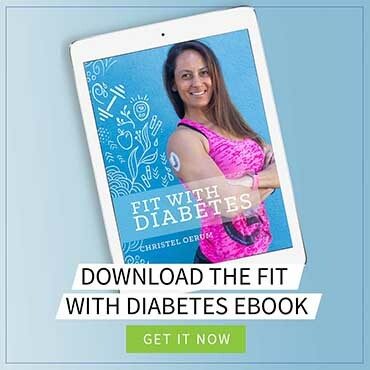 If you are looking for other healthy low-carb recipes, take a look at the 10 best dinner recipes for people with diabetes and 10 low-carb breakfast ideas for people with diabetes. When you’ve tried this snapper fillet recipe, please don’t forget to let me know how you liked it and rate the recipe in the comments below! 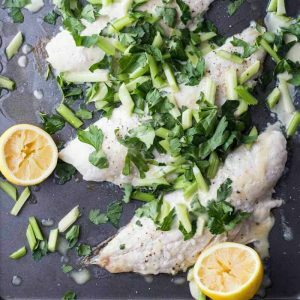 This Snapper Fillet with Celery Parsley Salad is such an easy and tasty way to cook a healthy meal in only 20 min. Grease a baking sheet with a few drops of olive oil. Place fish fillets skin side down on baking sheet and generously sprinkle with sea salt and pepper. Bake in the preheated oven for about 15-18 minutes depending on thickness. In the meantime, wash celery, remove leaves and white part, and then cut into little (1” long x ⅛” thick) sticks and add to a bowl. Wash and de-stalk parsley, then dry the leaves and coarsely chop. Add to bowl with celery. Add tahini, olive oil, lemon juice, and honey to a sealable container (such as a mason jar) and shake until very well combined. 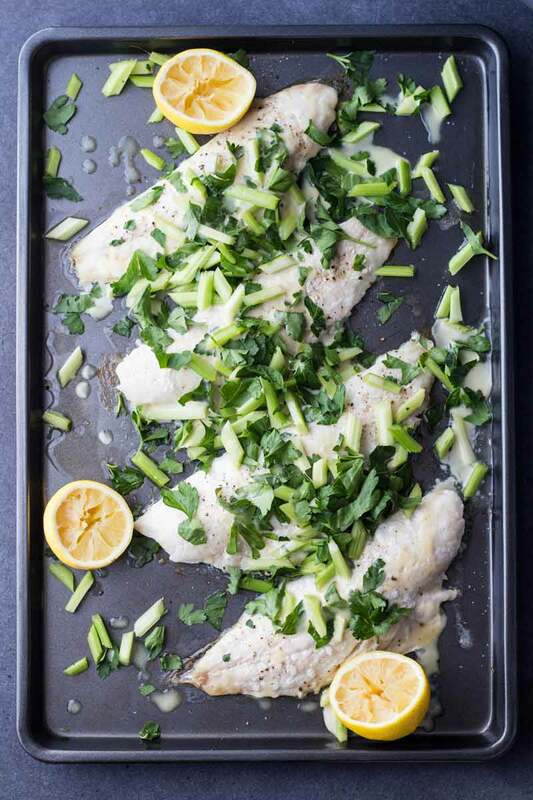 Once fish is cooked, take out of the oven and serve with celery parsley salad and tahini dressing and some extra lemon if desired. Lorena is the recipe developer, chef, food photographer and taste tester over at GreenHealthyCooking.com. Green Healthy Cooking is all about offering real food recipes made out of 95% unprocessed food. Only 95% because let’s be realistic, not all of us have a mill to grind grains and make flour in the kitchen corner or a cow to milk in the entry hallway. 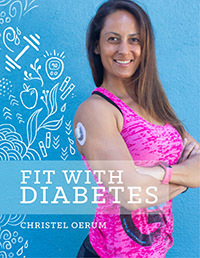 Previous Post: « Diabetes and Alcohol: How Does Alcohol Affect Blood Sugar?